Our mission is to preserve and protect the habitat, scenic vistas, historical and cultural resources, and recreational values of the mountains, alluvial fans and canyons of Palm Springs for the enduring benefit of people and wildlife. We will accomplish these goals by encouraging citizen participation, being fiscally responsible to our contributors, and practicing honesty and integrity in our work with property owners and key stakeholders to achieve fair and equitable solutions. Palm Springs has long attracted people who love the desert environment and the beauty of the San Jacinto and Santa Rosa Mountains. In 2004, a group of citizens were drawn together by concerns over development on the hillsides and alluvial fans of Palm Springs. These citizens circulated a petition calling for a re-zoning of all mountain and hillside lands to one unit per 40 acres. They also challenged a vote by the City Council approving a massive resort complex in the Santa Rosa Mountains. These actions became Measure B, the Mountain Preservation Initiative, and Measure C, the Palm Hills Referendum in a special election held in March of 2005. Measure B, the Mountain Protection Initiative, lost by a slim margin. However, the citizens rejected Measure C, successfully overturning City Council approval of the Palm Hills project. Also in 2004, Friends of Palm Springs Mountains formed as a non-profit organization to challenge two hillside developments. These projects were not in keeping with the neighborhood character, nor using ecologically sensitive approaches to develop the sites. 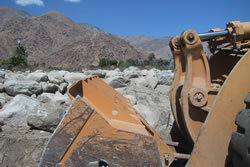 Mass grading and terracing were being proposed, along with removing and crushing thousands of tons of boulders. 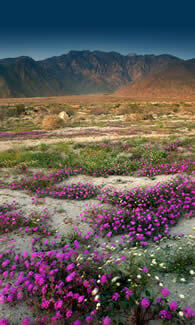 In May of 2006, Friends received a $150,000 gift, specifically designated to preserve Chino Canyon. Discussions with local conservation organizations resulted in a partnership with Pete Dangermond, who at the time was the Executive Director of the Riverside Land Conservancy and President of The Dangermond Group, a land conservation consulting firm specializing in strategies for parks and preservation. The Dangermond Group interviewed landowners, developers, environmental advocates, City officials and other key stakeholders to identify their needs and concerns. Concurrently, they worked with a consortium of environmental groups to develop a vision and strategies for preserving natural open space, while providing opportunities for eco-tourism development. This was presented to the City Council in the fall of 2006, to supplement the City's Chino Cone Ordinance. The Council adopted policies that would facilitate elements of the plan and assigned two Council members to work with the Friends to seek state and federal funding for buying land from willing sellers. In 2007, we produced Voices of the Canyon, a DVD, which captures the values and impressions of the Canyons through interviews with scientists, artists, educators, historians, outdoor enthusiasts, and visitors who expressed a surprisingly deep appreciation for the beauty and wonder of the Chino Canyon. The short film was accepted into the Palm Springs International film festival and highlighted our goals to a worldwide audience. For the past several years we have continued to work on piecing together each section of what appeared to be a giant jigsaw puzzle and we are now in the final phase of placing the last piece to bring this long awaited transaction to a close. However we need your help in raising the remaining funds.